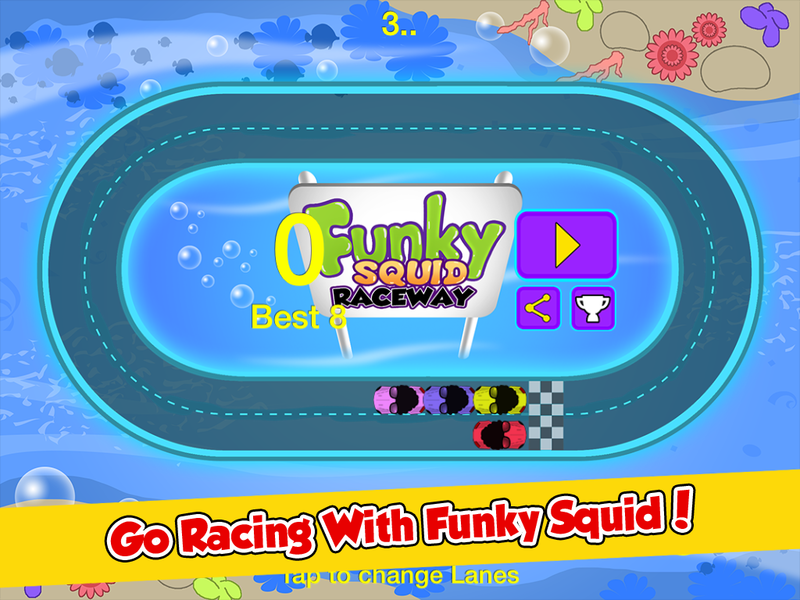 The Funky Squid Raceway is hosting the annual race spectacular, and the winner takes all. 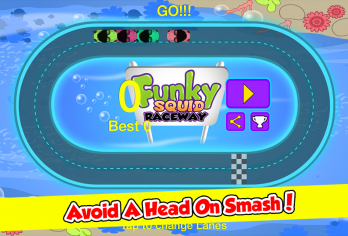 But unfortunately in this race you are at risk of a head on smash! 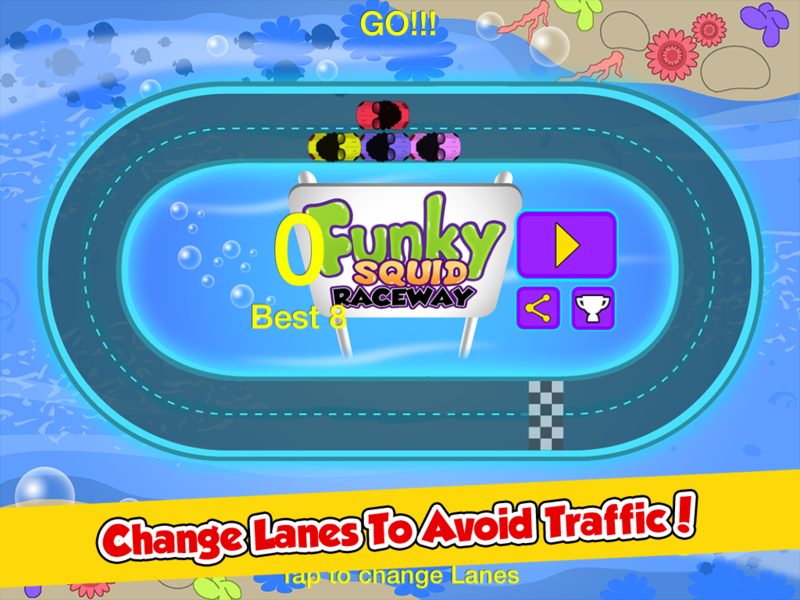 There are two lanes and your opponents are in one lane, and you are in the other. As you race towards each other on the oval track, make sure you are in the other lane to avoid a collision, swapping to other lane if necessary. 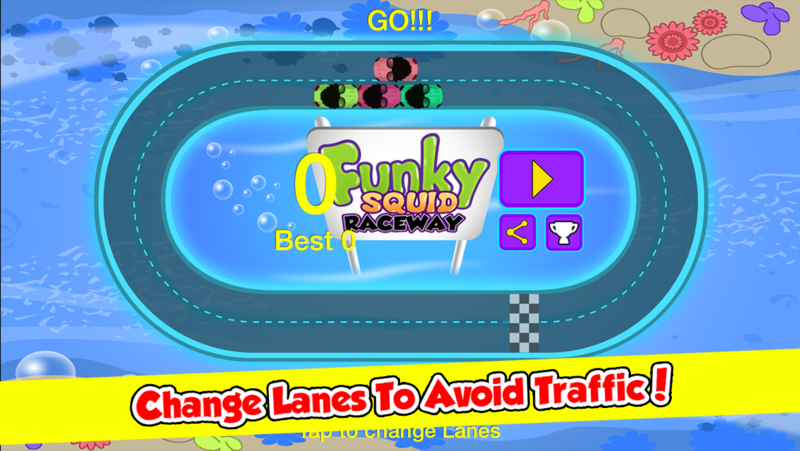 Thats right, you are facing each other in opposite lanes, and your opponents will do everything possible to stop you by trying to swap into your lane. 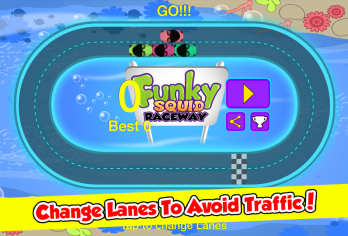 So make sure you outwit them by switching lanes at just the right time. Each time you cross the finish line you get another point. 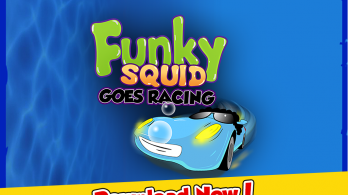 What could be simpler, right ? 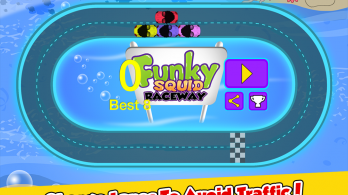 How long can you hold your nerve for? Can you get the high score? 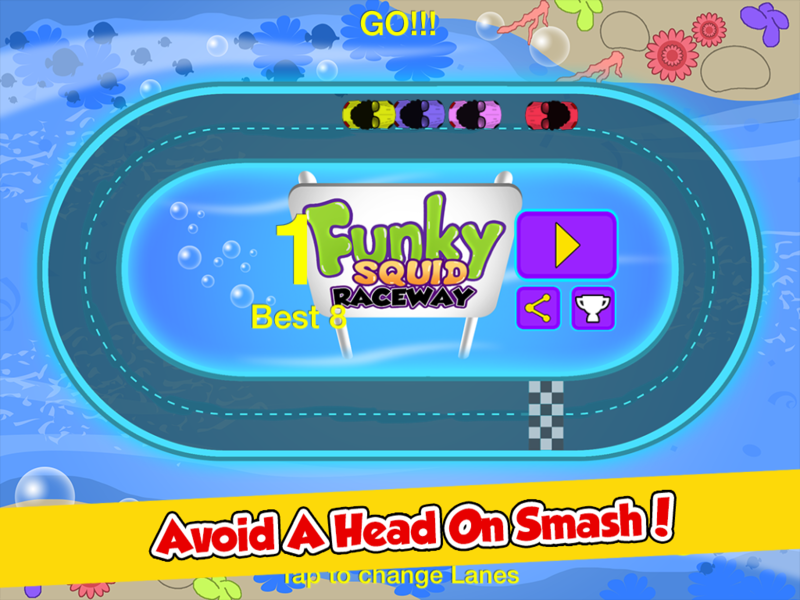 Or will you lose it all in a head on smash! 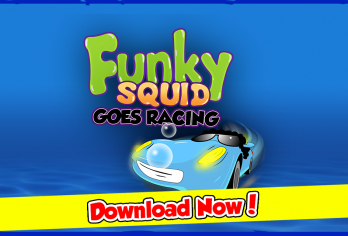 The only way to find out is to try it. 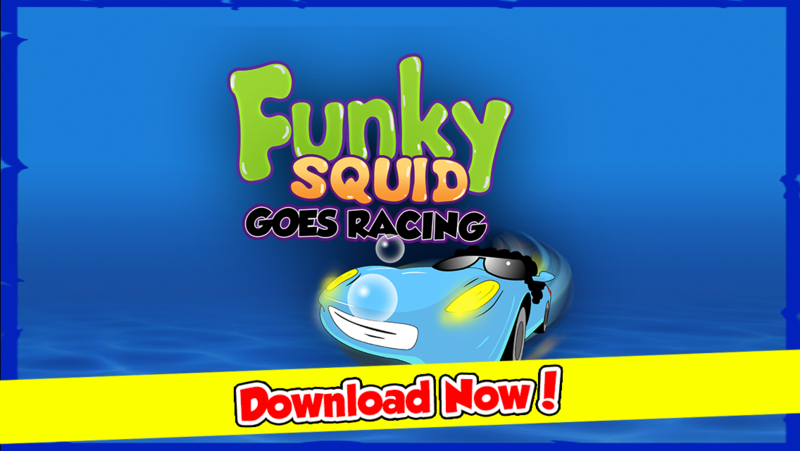 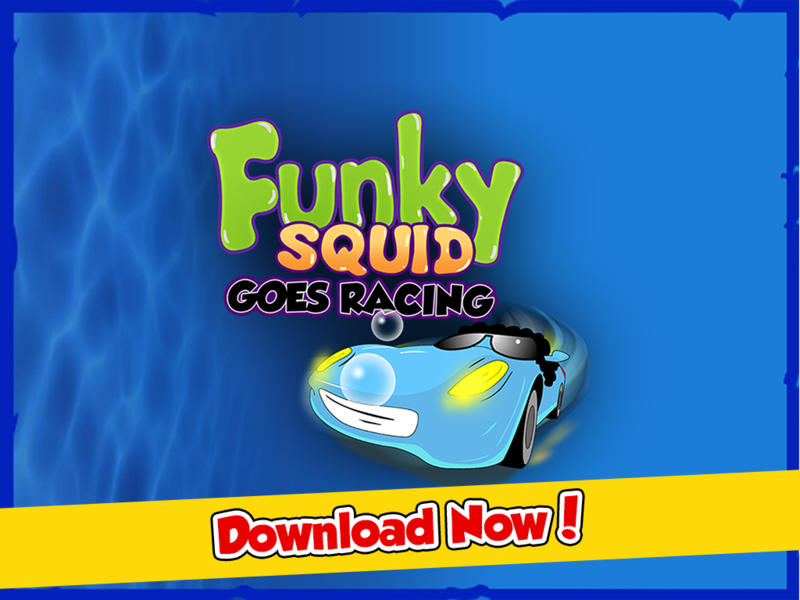 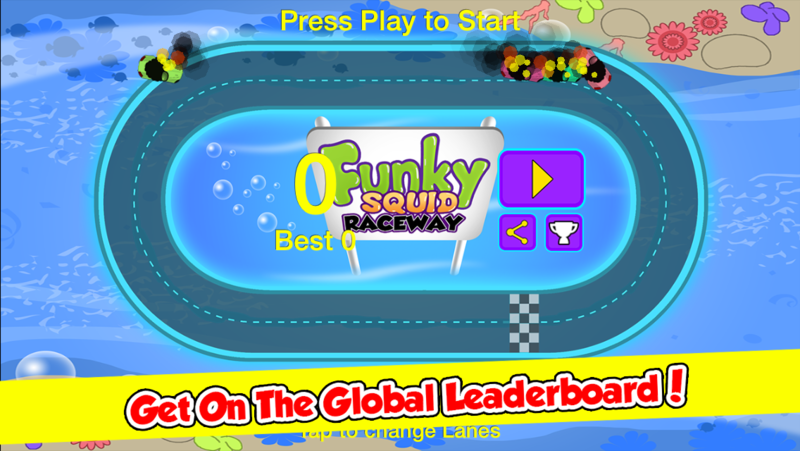 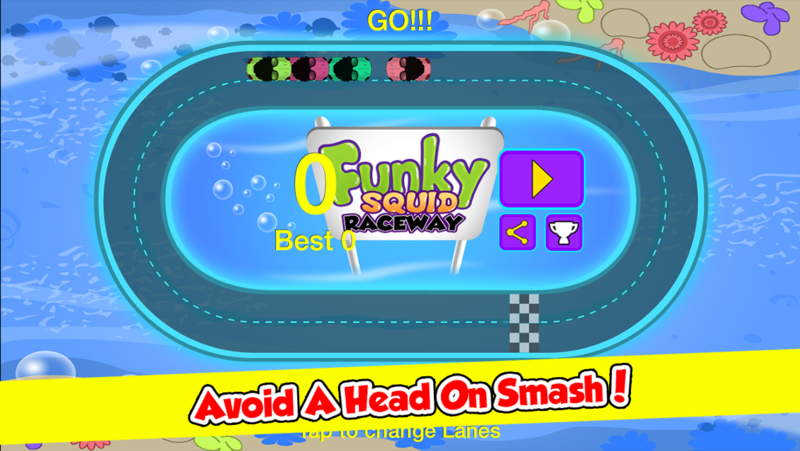 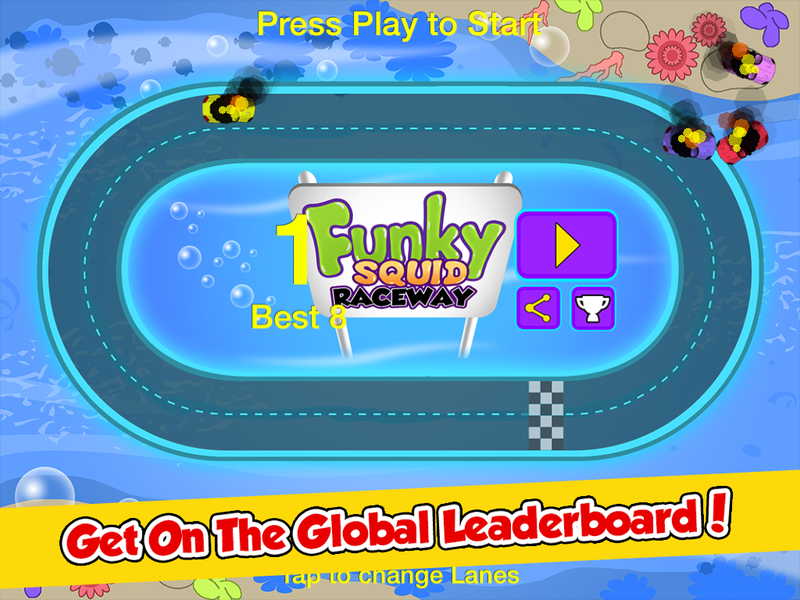 Download Funky Squid Goes Racing today! 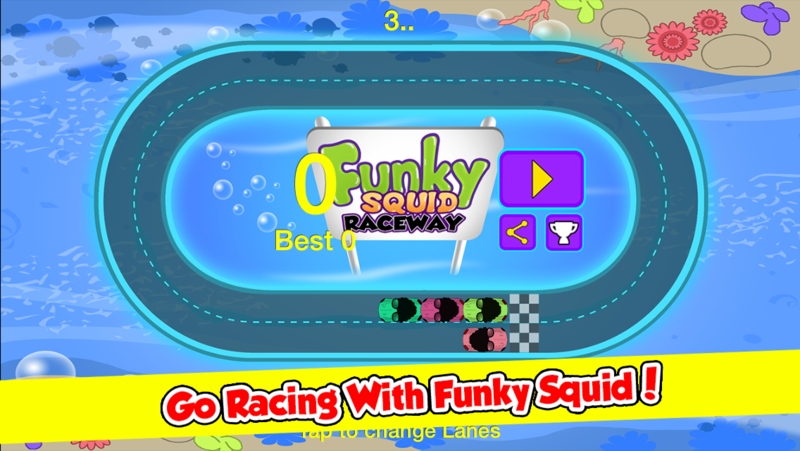 How to Get Funky Squid Goes Racing FREE?